Google has revealed plans to sideline its social network Google+ by changing the way users log in to its products and services. It said it would no longer require users to sign up to Google+ to post comments to products such as YouTube. Brad Horowitz, who manages Google's photos and sharing services, announced the changes in a blog on Monday. One expert told the BBC that some YouTube creators had reacted to the news with "glee". 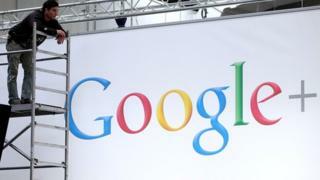 Google had been criticised by YouTube stars over its attempt to integrate Google+ with the video sharing site. Many argued Google had attempted to integrate Google+ with the more successful YouTube platform to give the struggling social network a boost. "The initial uproar was just insane. There were songs made about Google+ and how much people disliked it," said Alex Brinnand, managing editor YouTube magazine TenEighty. "There was an overriding feeling that we were already swamped with other social media platforms, and people felt that they were forced into the deal." Mr Horowitz confirmed that Google+ integration with other websites would slowly be rolled back. "In the coming months, a Google Account will be all you'll need to share content, communicate with contacts, create a YouTube channel and more, all across Google," he said. He later made additional comments on his own Google+ page, in which he admitted that requiring people to register on Google+ to post comments on YouTube since November 2013 had been a "controversial" decision. "We want to formally retire the notion that a Google+ membership is required for anything at Google… other than using Google+ itself," he added. YouTube clarified that people who were happy with the integration would not have to take any action, but an option to unlink a YouTube account from Google+ would be introduced. Reaction to the news had been greeted with "glee" by some YouTube video bloggers, said Mr Brinnand. "For many creators this feel like it's been a long time coming. People have been rooting for this to happen," he said. "People felt like they were forced into joining Google+ and be active on it, and that's not something they accepted. "When Google made the announcement on Monday, I could feel a collective sigh of relief. It's almost as though Google has given up the fight, it has let go. "But at least it shows Google is listening. "There's sometimes a presumption that YouTube doesn't listen to creators, but now it really had. "This could be a turning point for the company," he said.